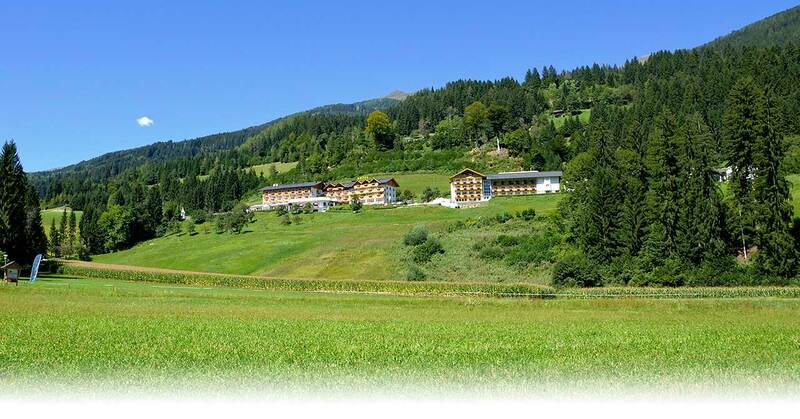 The Glocknerhof is a holiday and family resort hotel on the sun terrace of the Upper Drau Valley in Carinthia. It has developed from an ancient farm whose varied history is filled with innovations and dates back to the 14th century. In an area of over twenty hectares of fruit and vegetable gardens, meadows, woods and fields and several sports areas our guests can find everything they need for an attractive relaxation, sports or active holiday – set in the heart of a magnificent mountain world. As a family business, families and friends take pride of place for us. So we attach value to good and lasting relationships. Some of our regular guests have been coming here for more than 30 years. Three generations help to make you feel good. Children in particular have a great time here, especially during school holidays. We do everything possible so that they can have fun and let off steam in the natural surroundings and the healthy fresh mountain air. Human capital is a major requirement for contented guests. We motivate ourselves and our staff to offer our guests an unforgettable experience holiday with recreation and relaxation. Our staff are also involved in business decisions on how our offers are structured. The Upper Drautal Valley Outdoor Park experience region is Austria’s largest nature experience area, and the Glocknerhof lies at the heart of this region. You can let go of everyday life here via extreme sports such as rafting, canyoning and paragliding, as well as leisurely cycling, tennis or golf. A total of 50 different sports and health facilities in summer and winter are just waiting for you to get started. We learned it from our parents and grandparents, and they learned it from their parents in turn. Only those who live with moderation and goals are successful, and only those who can enjoy are enjoyable. So we attach the greatest value of all to enjoyment and well-being; it starts with selected regional natural products of quality in the kitchen and the cellar (many of them from our own farm) and extends to the sustainable and responsible way we handle resources. because that is the only way we can ensure that you feel good. Every day. Every hour. An experience with friends!